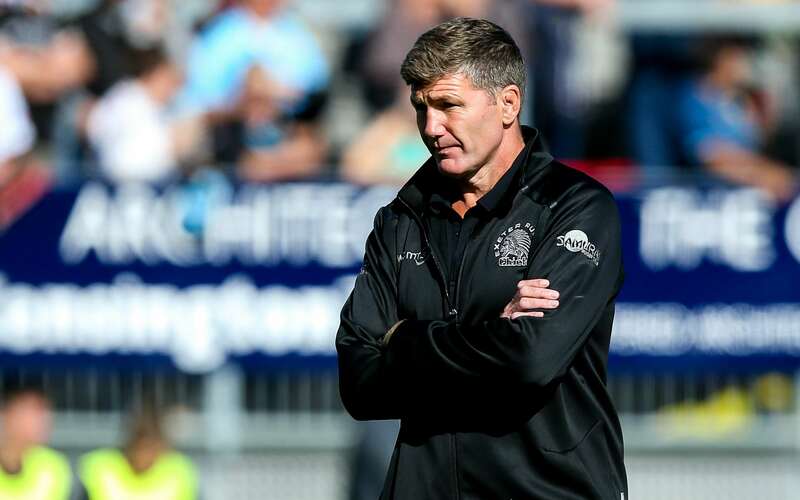 A record-breaking start to the season it may be for Exeter Chiefs, but Director of Rugby Rob Baxter is demanding even higher standards from his team ahead of tomorrow’s Gallagher Premiership trip to Bath (7:45pm). Five games, five wins. It’s certainly been a dream start for the Devonians, who have picked up 24 points from a possible 25 on offer this term. Last weekend’s home win over Worcester Warriors ensured the Chiefs - along with defending champions Saracens - remain the only two sides in the division yet to have lost a game. However, a frustrated Baxter was far from happy with his side’s latest showing and has used this week to send out a powerful message to his squad that on-field standards need to be raised, especially with the start of the Heineken Champions Cup looming large on the horizon. “I was only frustrated with the second half last week, simply because we set ourselves some pretty simple goals for that game,” said Baxter. “One of the simplest goals is you’re playing sport and playing a game, which in itself is an opportunity for you to go out and have the game of your life. “You’re not going to do that every week, that’s pretty impossible for obvious reasons, but I do believe you should be looking to have a better game than the week before - and you should be be looking to improve and use the minutes you have to maximise what you do, both individually and collectively. “If I’m being honest, I didn’t feel we did that in the second half last week. We didn’t challenge ourselves physically with the drive we had in the game and we didn’t challenge ourselves with that flat-out effort we need to put unto certain areas of the game. That is what frustrated me, mainly because I wanted the players to drive in the kind of performance which I want us to do even more through this next month. “We’ve got big Premiership and Heineken Cup games coming up, after which the squad will break up a little as we go into the Premiership Cup. What I said to the players this week was that they kind of let 30 minutes go against Worcester, when really they could have been driving the standards we want to see. But before the Chiefs can even contemplate tackling the likes of Munster and Castres in Europe, they must first negotiate their way past rivals Bath at the Recreation Ground tomorrow night. Todd Blackadder’s side come into the contest on the back of a heavy defeat at Saracens last weekend, a fixture in which the New Zealander decided to rest up many of his frontline stars. Many of those who sat out the trip to Allianz Park are expected to return to top-flight action tomorrow. Baxter knows better than anyone the threat posed by Bath, adding: “They were the team who we took the longest to beat in the Premiership. Over the years we’ve had a lot of tough and tight games at the Rec. We’ve done OK up there more recently, but the games have still been tight and I expect Friday to be much the same. “Unless we are bang on, it’s going to be a tough night for us. That said, we’ve got to enjoy this kind of challenge because I do believe it could be a great marker of what kind of performance we will need to put in over this next few games. “Obviously, we’ve had a great start and laid some very good foundations, but are we really performing at that high-end level? Probably not at this stage, but my biggest aim for the weekend, regardless of the win or the loss, is that I’m looking at our players and thinking these guys are ready and that they want to crank things up moving forward. Ahead of kick-off the Chiefs have been dealt a double injury blow with the news that key forwards Jonny Hill and Sam Simmonds are both expected to be sidelined for some time. 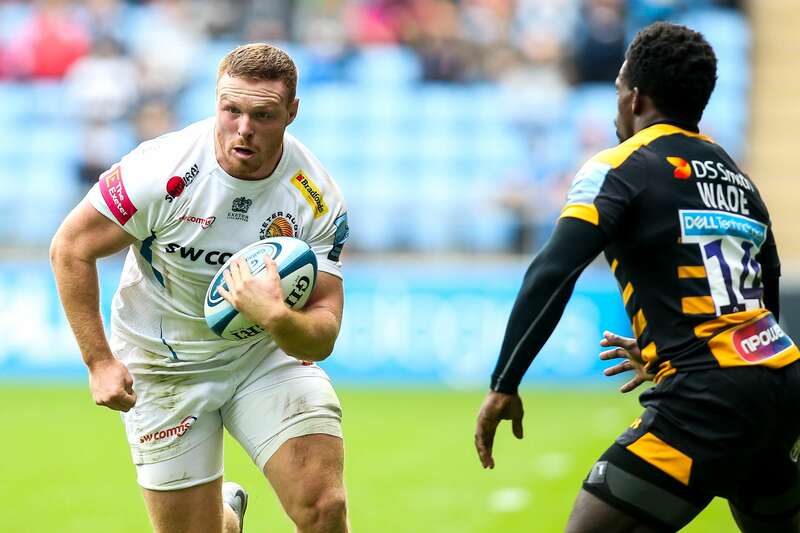 Hill has damaged ligaments in a finger and is set to be out for up to four months, while Simmonds has ruptured his anterior cruciate ligament and may not be seen in an Exeter jersey again until the latter stages of this campaign. “If the operation and rehab goes really well we’d like to hope we can maybe see him before the end of the season but it’s going to be touch and go,” continued Baxter. “It’s hard to absorb because Simmo has been a key momentum gainer for us. Obviously he is upset. He was looking forward to having a big season. “It’s a blue for both of them, but you've just got to deal with these things, they happen, and use it to get the guys fit in other areas. Both Sam and Jonny can develop other areas of their physique and elements they want to keep working on in their programmes anyway, so we've just got to get them back fit as soon as we can and move on. Baxter, however, is able to ease the loss of both players by the fact that he is able to recall England trio Luke Cowan-Dickie, Don Armand and Henry Slade to his starting line-up tomorrow. They are part of eight changes the Chiefs make to their winning formula of a week ago. Also returning are Ben Moon and Harry Williams in the front-row, Sam Skinner at lock, scrum-half Stuart Townsend and full-back Phil Dollman. On the bench, Tom Lawday - who grabbed a hat-trick of tries for the Braves last weekend against Bristol Bears - is also included.